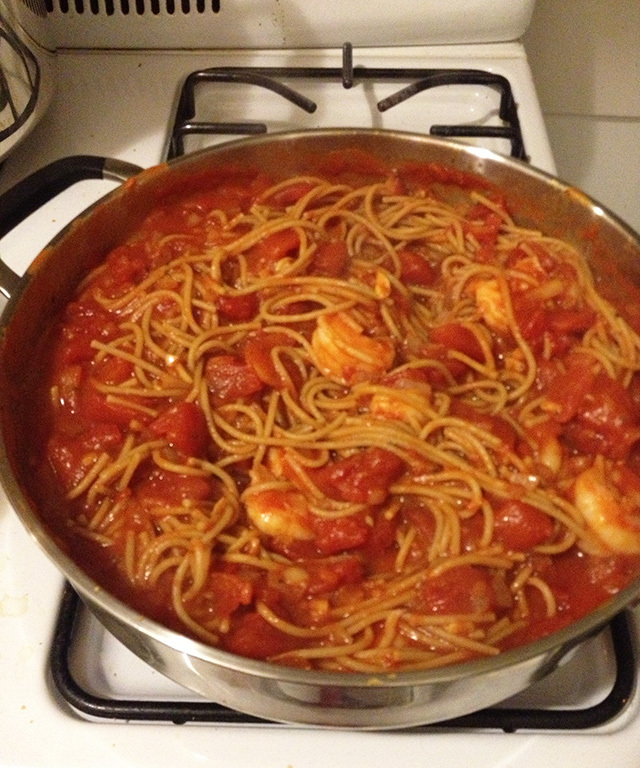 The first time I heard of shrimp fra diavolo was at Joe’s in Ridgewood. My brother Matt had ordered it. I asked him what it was and he replied “it’s delicious!”. At the time I don’t think I was into spicy or shrimp, but that’s not the case today. 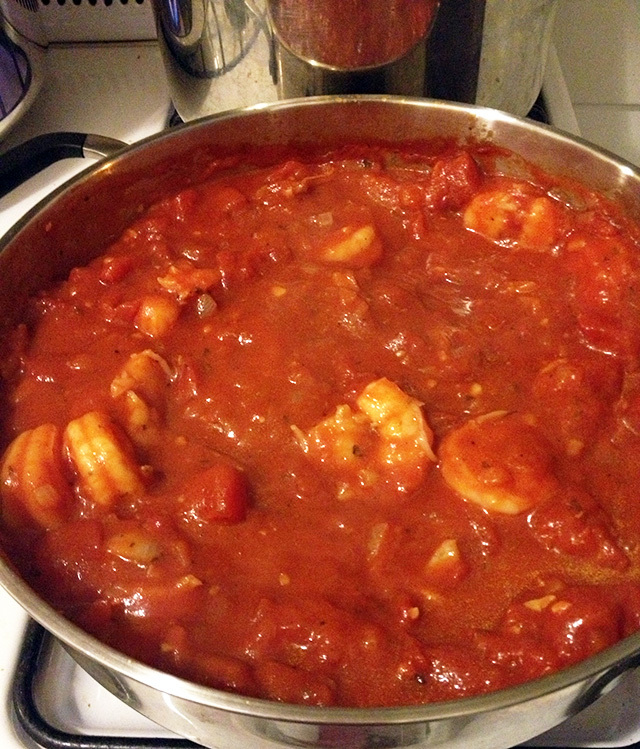 Last week I had some shrimp and figured I would take a stab at making it. It was so easy, I would recommend it as a great weeknight dinner. I know you’re going to see the whole wheat pasta and cringe, but it was very delicious. 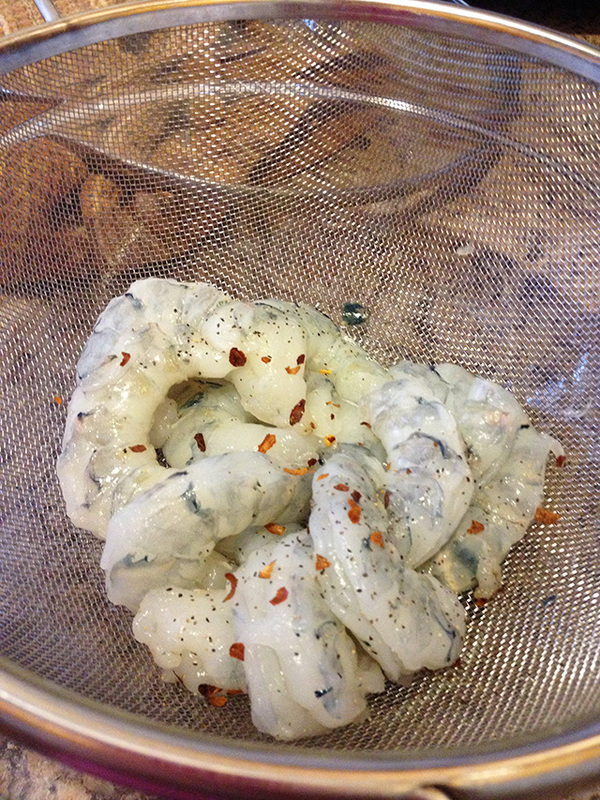 Toss shrimp in salt, pepper and red pepper flakes to taste. In a skillet, heat the olive oil over medium heat. When the oil is hot fry the shrimp 1 minute on each side. Remove from pan and set aside. Put a pot of water on to boil for the spaghetti. Cook as directed. Add the onions and garlic, cook until the onions are translucent. Add the diced tomatoes, sauce and paste. Sprinkle some red pepper flakes, salt and pepper to taste. Bring to a boil. Reduce heat and simmer for 15 minutes. Add the shrimp and cook another 5 minutes. Once the pasta is done, toss with the sauce and cook on low for about a minute.